Billings offers a rich core curriculum designed to engage students in rigorous, multi-faceted ways. Classes align with the developmental growth of our students and are taught with an awareness of each individual's strengths and learning styles. Everything at Billings, from the design of the overall program to one-on-one interactions, is guided by the four key concepts outlined below. The dynamically complex development of early adolescence guides all we do at Billings. Curriculum design is based on key questions about the intellectual and emotional maturity of each individual and their peers. The structure of our school day, our calendar and our trips equally reflect our understanding of growth cycles. Finally, our interactions with students are anchored in a profound belief that middle school students are exceptionally capable. Our expectations of students are high, because we know that in our environment they grow self-aware and gain the confidence to risk truly complex thought. We believe that the development of one’s identity is intricately linked to an emerging sense of humanity and ethics. We always ask the question, "What is the application of what we are learning?" "What is our impact?" It is our goal to go beyond "service learning" to the point of integration – a place where students intuitively consider power, perspective, bias, access, and sustainability as they carry out the work of their lives. Advocacy is comprised of three elements; self-understanding, confidence and engagement. From the moment they arrive at Billings, we challenge students to reflect on their identity and approaches to learning. We build on strengths and openly identify and work on challenges. In all we do, we seek to reinforce students' efforts to engage – to ask questions, adapt their environment, negotiate and seek out the support of mentors. As they progress through Billings, students become more confident, advocating for their beliefs as well as their own needs. Teachers at Billings first and foremost understand and appreciate early adolescents. They are characterized by their patience and sense of humor and, most of all, by an exceptional commitment to individual students. Teachers at Billings are renaissance people. 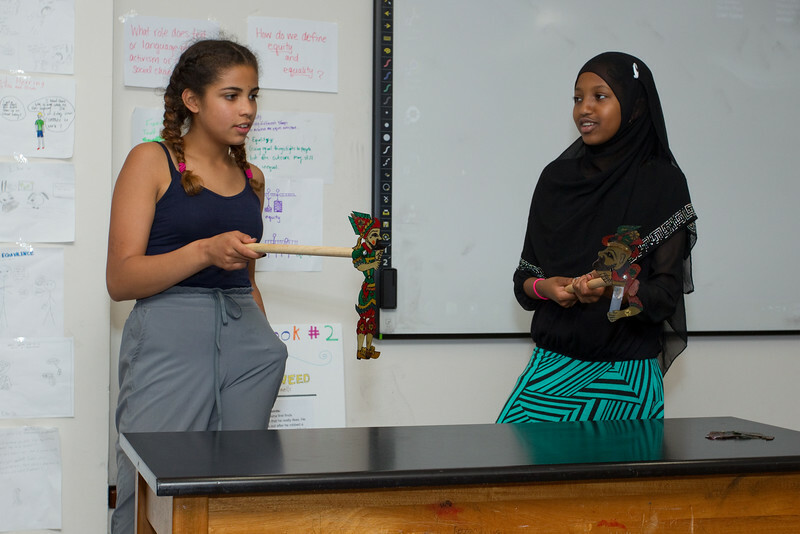 They openly seek learning, through research, discussion, or travel, with a unique level of support from the school. As one recent graduate said, "Hardly anyone leaves Billings without a mentor, or without knowing how to get one!" Billings strives to foster the growth, independence, creativity, and maturity of our students. We believe that all middle school students need support at one time or another—whether academic, social, emotional, physical, or a combination of these. Over three years at Billings, understanding and learning to apply one's own learning profile is a primary task of the middle schooler.